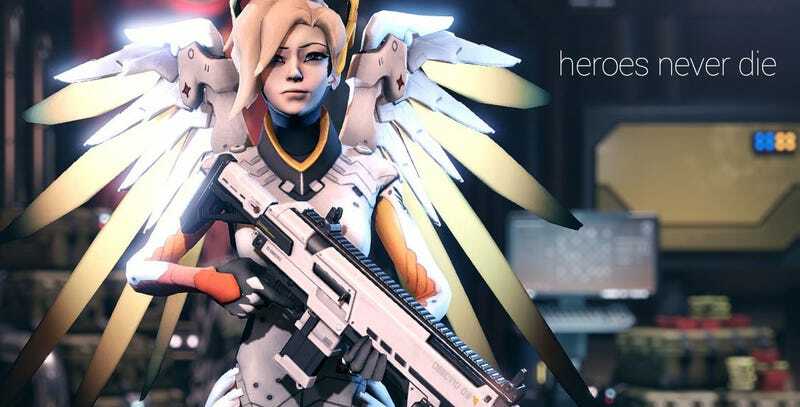 There’s a mod for XCOM 2 called [WotC] Overwatch Mercy Squadmate. It does exactly what the name and picture here suggest, adding the angelic healer to XCOM 2's new expansion, War of the Chosen. (Though she’s also available for the base game). The mod brings multiple options. You can choose from nine skins, and also from three different options for how her wings are deployed. It also adds Switzerland as a country of origin so everything can remain thematically correct. Oh, and if you download this, you might want to grab some accompanying mods as well, like a Mercy voice pack.